If like me, your first exposure to anime was through Manga Video back in the nineties, then the two Tokyo Ghoul series might have seemed like a return to the good old days of extreme violence, blood and gore. 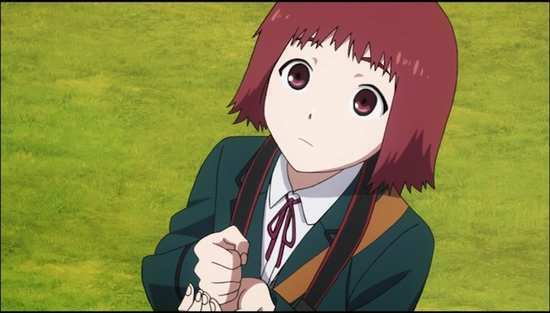 Certainly a show about beings that hunt down people, feast on human flesh, isn’t one that you can spin with a lot of cutesy moe, or slice of life antics. Tokyo Ghoul certainly proved popular in its native Japan as well, with a live action feature film subsequently released. But it wasn’t just blood and guts. Tokyo Ghoul told a rich and complex tale of two societies co-existing uneasily, and through the eyes of an unlikely hybrid, Kaneki Ken, both ghoul and human, it invited debate into just which side was more monstrous, which side sympathetic. All the Anime released Tokyo Ghoul and Tokyo Ghoul √A in the UK, taking advantage of Funimation’s discs and dubbing. Now they bring us the Jack and Pinto OVA prequel episodes, and this time we’re getting them where the US does not, at least not at the time of writing. That means that this disc is mastered locally, and it lacks an English dub. But, if you want it to fit in with the first two Collector’s Edition releases from All the Anime, you’ll be able to get a Collector’s Edition of Jack & Pinto exclusively from the Anime Limited webstore; only the standard DVD and BD editions will be available elsewhere. Taishi, Aki and Ryo were tight at school, inseparable and in love with baseball. But it all went off the rails when Taishi quit the team, and Aki and Ryo dropped out of school altogether to join a biker gang. The one chance of rekindling their friendship was ended by a ghoul called Jack O’Lantern, who killed Ryo, and blinded Aki in one eye, leaving Taishi seething for revenge. He might get that revenge courtesy of a boy called Arima in his class, who’s actually there undercover for the CCG, hunting ghouls. 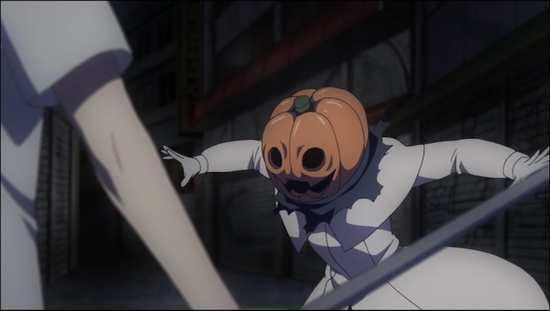 With a girl named Minami, the three form a team hunting Jack O’Lantern. 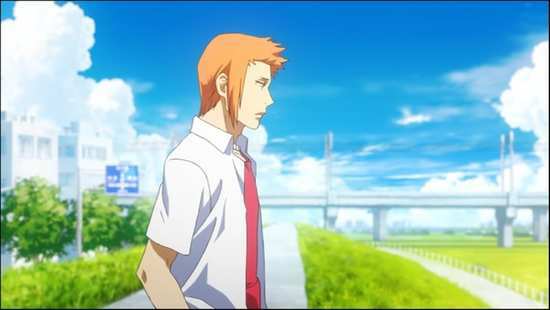 Tokyo Ghoul: Jack & Pinto presents its content with an animated menu, while the extras include trailers for Jack (1:00), and Pinto (0:31) without subtitles. You also get a few pages of English credits for the episodes although they miss out the voice cast. It’s a 1.78:1 widescreen 1080p transfer, which is clear and sharp, with decent character designs, and a world design in keeping with the main series. 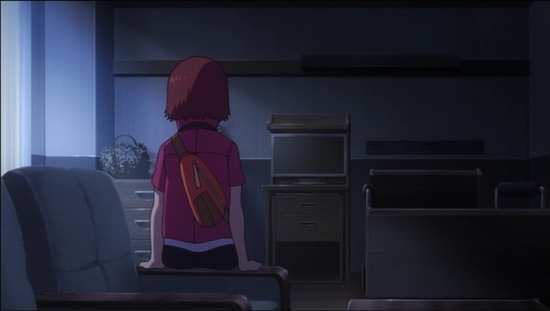 It can get pretty atmospheric and bloody at times, and the animation is of strong quality throughout. The Japanese audio is presented in DTS-HD MA 2.0 Stereo format with English and French subtitles, selectable from the main menu screen, but locked during playback. This is a dual format release exclusively on Collector’s Edition, with the episodes on DVD as well. I haven’t seen the packaging to comment. But I have used screencaps from that DVD in this review. It’s actually quite nice to dip my toe back into the world of Tokyo Ghoul, having been disappointed by the √A sequel series. Let’s put the matter of value for money, the fact that you’re just getting two episodes to one side, as while the Collector’s Edition may be a little much, the standard releases aren’t too expensive. But with just two standalone episodes, it might have been easy to be disappointed with this release if just one of them was poor. 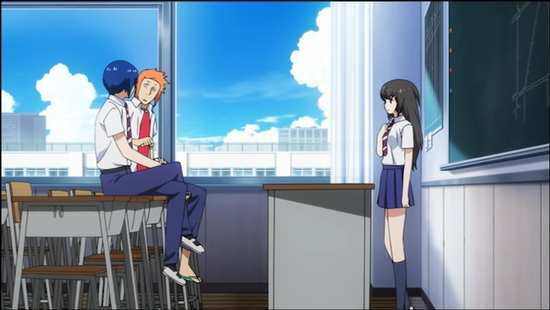 Thankfully that isn’t the case, as both Jack and Pinto are interesting tales, well put together short stories that look at the histories of some of the Tokyo Ghoul characters, and keeping to the ethos of the show, we get one episode from the CCG point of view, and one from the ghoul perspective. The short standalone story format is good here, not actually tying into any larger narrative. 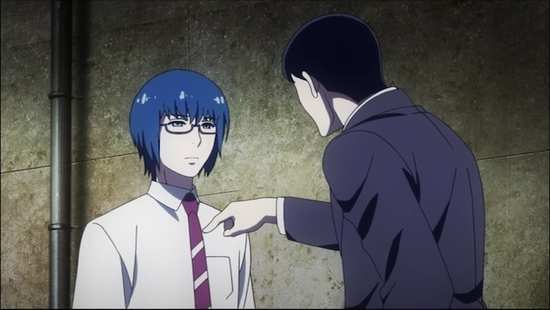 You could conceivably watch these episodes without having seen Tokyo Ghoul at all, although Pinto would be hobbled as you really need to know Shu Tsukiyama’s character to get the most out of that tale. Jack is the more conventional of tales, one of revenge following a ghoul attack forging an unlikely friendship. It seems to be a rather familiar tale of high school students falling off the rails, their friendship tested, until a ghoul attack changes everything. It’s an example of the hatred that lies at the heart of the CCG group in microcosm, events that shape the lives of two key figures in that group. 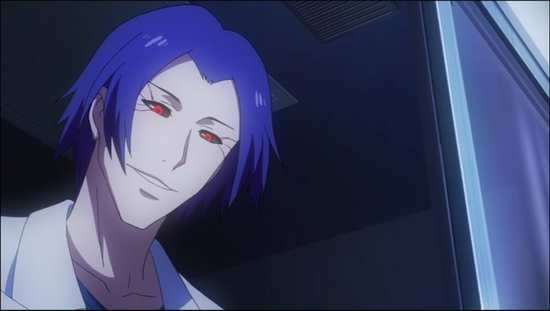 Pinto is a little more esoteric, with the flamboyant Shu Tsukiyama centre stage, the ghoul with the penchant for grand pronouncements, and a desire to taste Kaneki’s flesh, revealed in his youth. He’s doing what ghouls tend to do, when his meal is interrupted by Chie snapping a photo of him. She’s obsessed with photography, and Shu can understand obsessions. What he can’t understand is her utter fearlessness, which goes beyond her enthusiastic idiot personality type, so he takes to testing her and himself, trying to elicit a recognisable, logical human reaction from her, and trying to understand why he has no appetite for killing her. Of the two, I actually prefer Pinto, but Jack is a strong story as well. They are well-written, interesting tales in the Tokyo Ghoul universe, and ones that fans of the series will most certainly enjoy. Two half hour episodes on one disc will always beg questions of value for money, but the standard release of Jack & Pinto is reasonably priced and recommended.